GROW YOUR BUSINESS. OUTPACE YOUR COMPETITION. DOMINATE YOUR MARKET. This is Rob McDonagh, Leading Recognized SEO Specialist at Search Engine Marketing and Lead Generation. And here at Rob’s SEO Services, we would love to help rank your business on the first page of Google so you can generate more traffic and revenue. Every website is different, and every business has different needs, but if you really want to grow your audience then the principles are the same for any company – a combination of clever marketing, diligent link building, technically sound SEO, social interactions, citations and a good content strategy will get you to the top. Look no further for the Number One SEO Agency in Boston. The first step towards making a successful website is to have your current site audited by a local SEO agency. If you live in Boston, it makes sense to have a Boston SEO Firm look things over because they have local knowledge and a better understanding of how to market to the area. The agency will look at both technical and content related issues – for example, is your site hosted on an American server? Does it load quickly? Is it mobile friendly? Does the code pass validation? All of that stuff matters – because Google’s algorithms will check those things as some of the most basic factors that go into ranking. Once you’ve had the technical issues looked over, you need to think about the other marketing issues – such as content marketing, directory submissions, link building, and social media or other marketing. These can be tricky things to tackle, depending on the niche you are in. A good local SEO agency in Boston will be able to help you plan a marketing campaign that will reach the right people, at the right time. Some SEO agencies will offer paid search in addition to organic search marketing – but remember that these are separate things – paying to appear in the top sponsored results is not really ‘SEO’ and when you stop spending, the traffic will dry up. An SEO agency can’t promise that they will get you to number one – that depends on what the other websites in your niche and your area are doing – they can promise that they will ‘do the right things’ and increase your visibility to the search engines, but you are not acting in a vacuum, and if other webmasters won’t link to you, or the competition is too established and is still marketing their own website, then you might struggle. What they can do, though, is build trust for your domain name and your brand, increase the traffic that you get, hopefully, as a result of that, and slowly grow your brand. 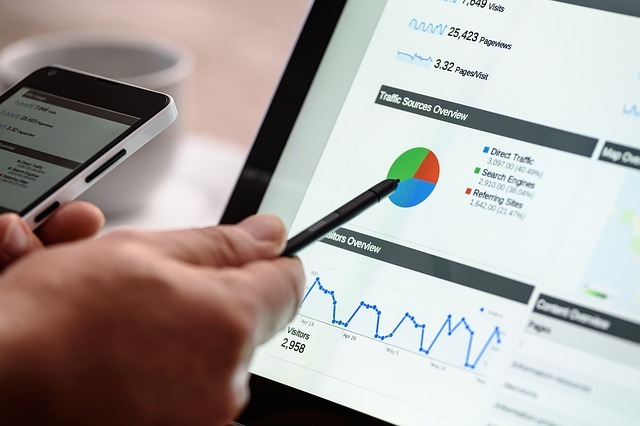 They’ll provide you with detailed reports of their efforts, and show you what they’re doing on Google Analytics so that you can get an idea of how your campaigns are going. They’ll meet with you regularly and review those campaigns, and come up with a plan of action – keywords to target, and sites that are worth getting your name seen on. They will use a number of SEO tools to research different keywords, investigate your rivals, and promote your site to both desktop and mobile users. They’ll generate reviews, and they’ll partner with other sites that are related to – but not in competition with – yours. You may think that it would be cheaper to outsource to a foreign SEO agency, and for some work that could well be the case, but a Boston SEO Agency can help you to reach more people that will be more likely to convert into paying customers. When you deal with international agencies, you lose the personal touch and you lose out on the local knowledge – which can be invaluable for article marketing, sponsorship deals, promotion on local directories, and other highly targeted marketing strategies. Ask fellow small business owners who they used for marketing – including people who operate in other niches. This is one area where word of mouth truly is a useful tool – the SEO agencies that contact you aren’t necessarily the best ones to work with – but the ones that you find easily online have proven – quite clearly – that they know what they’re doing, and that they can deliver good ranking results. Follow up on some testimonials to make sure that the rankings you’re seeing are long-lasting ones, and that customers from a year or two ago are still happy with the service they were given.